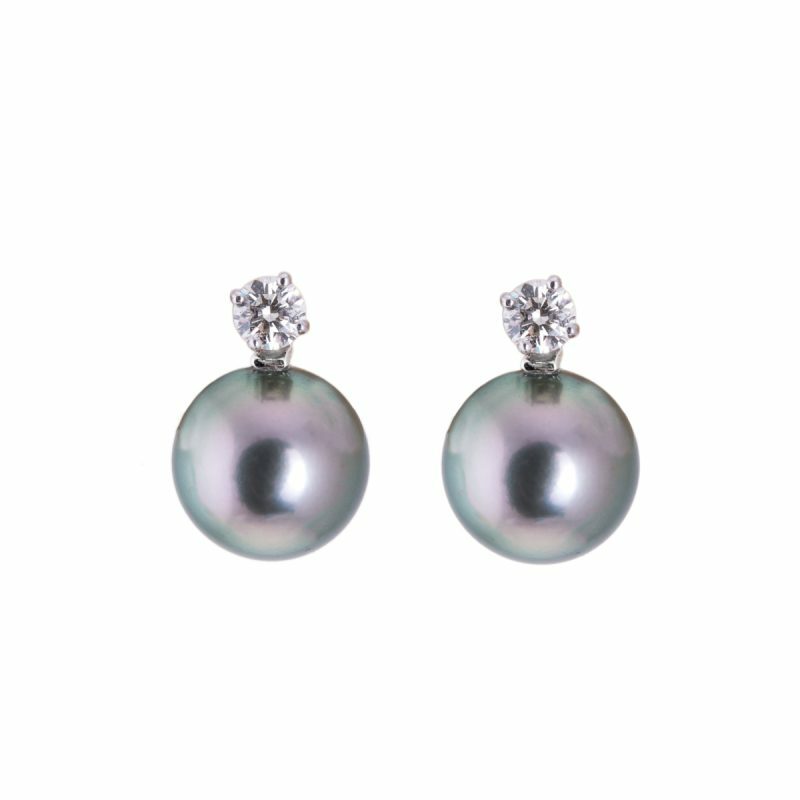 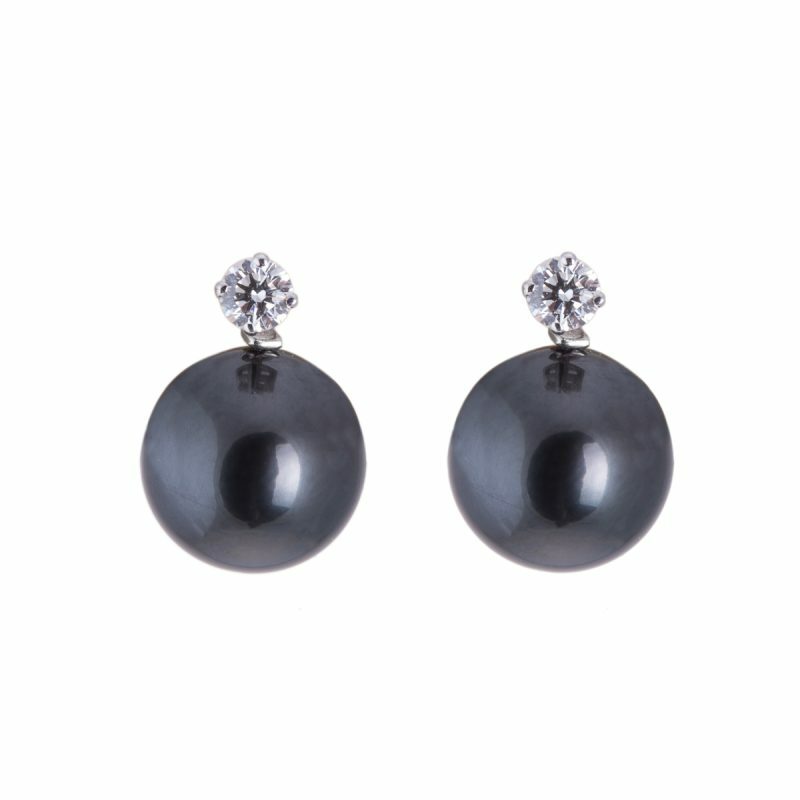 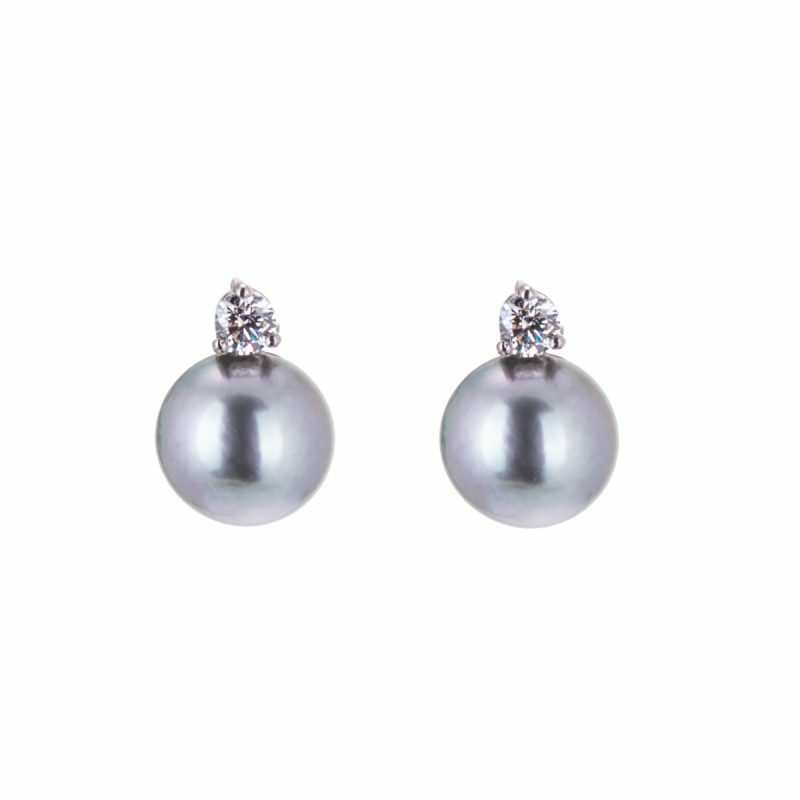 Mid grey Tahitian pearls, their tropical tones glowing below detachable rare white brilliant cut diamonds. 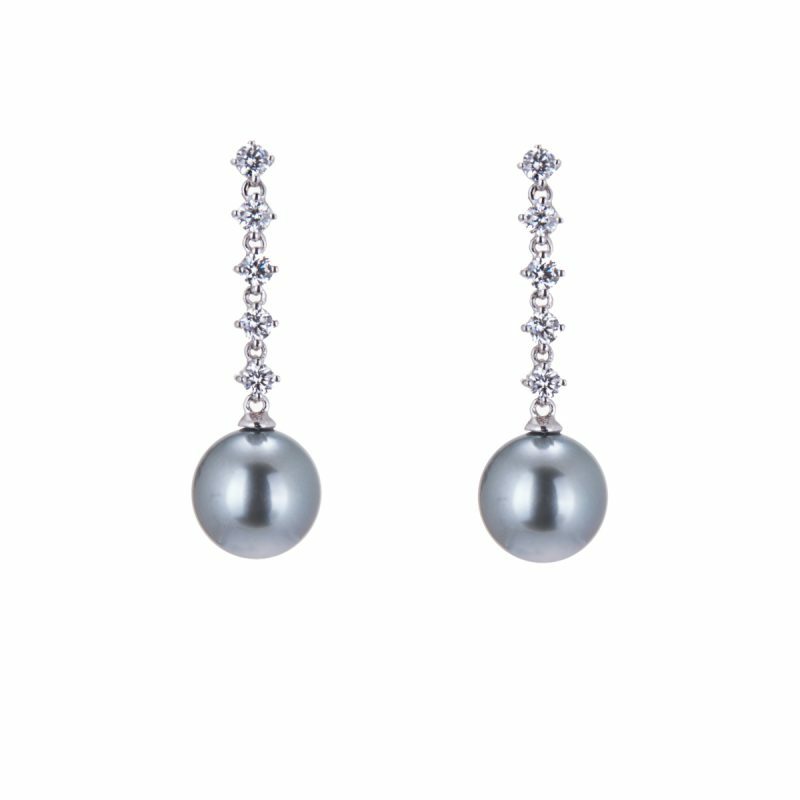 A pair of earrings that set the wearer apart from the crowd. 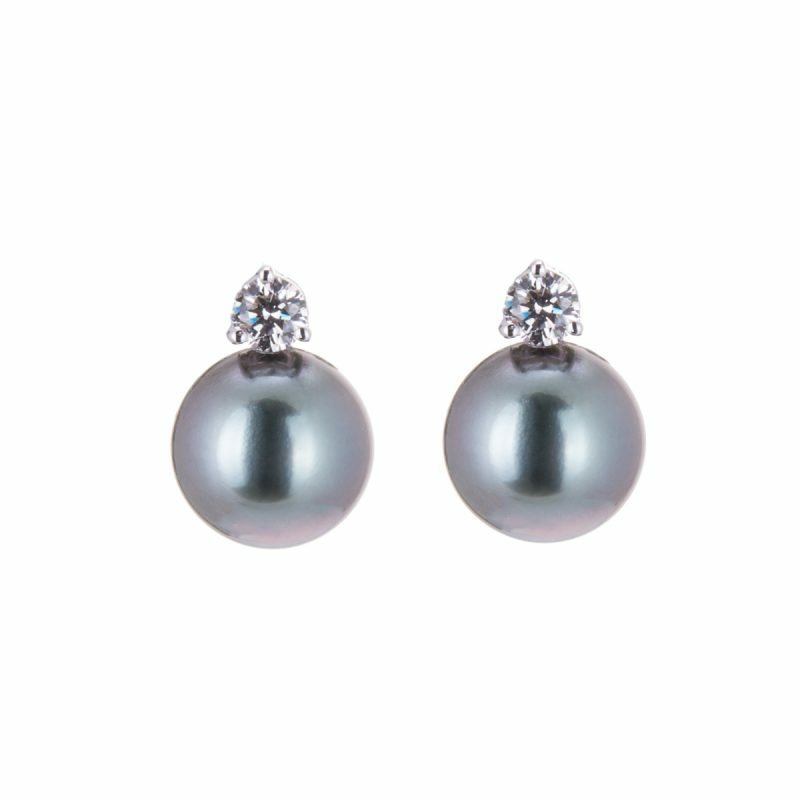 Mounted in 18ct white gold to complement their lustrous colour, the detachable brilliant cut diamond single stone studs can be worn separately making them an extremely versatile.